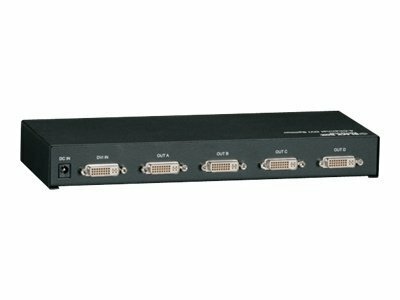 Reproduce digital video signals without sacrificing quality and split a PCs DVI signals to four separate displays with this device. It can be cascaded up to two levels deep and provides a resolution of 1920×1200 at 60Hz and 1080i HDTV. It accurately and reliably reproduces the digital video signal without signal attenuation and distortion. For more information on visual distribution hire for events, contact ITR today.